Warning: This post contains spoilers for Limbo. 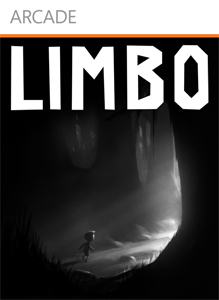 I have to admit, I am not entirely sure I know what Limbo is about. Presumably the title refers to the mythological border between heaven and hell, a temporary space for unbaptized children to lounge about until the end of days. In which case the little boy protagonist is dead, or maybe his sister is dead, or both. Danish developers PlayDead Studios did not try to shape an overtly emotional story about siblings into the game. In fact, Limbo is the ultimate example of a tightly produced package, highly polished and seldom straying into dangerous territory. While the game is not for everyone, I have no qualms saying it is a nearly perfect experience. 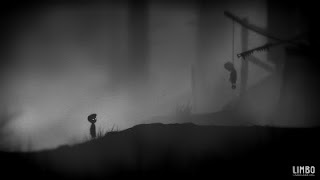 Earlier today, Nels Anderson ofAbove49 posted an article titled "Why Are So Many Indie Darlings 2D Platformers?” Using Limbo as an example of this trend, Nels had this to offer as one explanatory factor: “On the pragmatic side, 2D platformers are relatively easy to develop... Opting to creating a 2D platformer removes a significant amount of risk for what almost certainly begins as a very risky proposition.” It seems evident in Limbo that PlayDead knew their limitations exactly and exploited the perhaps over-saturated genre with grace. Each of the platform puzzles are distinct and isolated entities. When a player dies, she is deposited mere moments before the protagonist is killed. Thus, the game becomes broken up into manageable, albeit occasionally difficult, chunks of gameplay. Despite its composite nature, movement between scenes flows smoothly. In one moment the boy is in a forest, in the next a factory. The completely black and white aesthetic unifies the whole while simplifying the design process in some ways. This is not to say developing Limbo was easy. At E3, one PlayDead developer mentioned the numerous playtests conducted to perfect the silhouettes of game assets. Each interactive object is distinguishable from the black environment without being gaudy, distracting, or unrealistic. This took time and expertise. 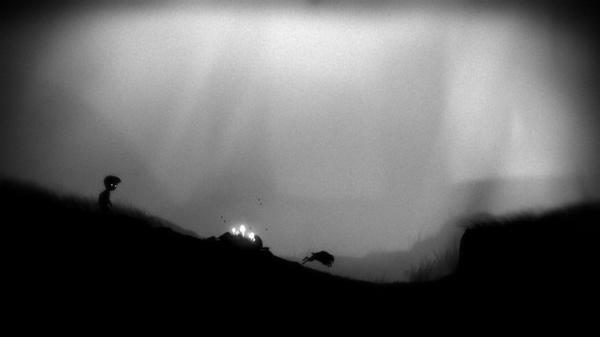 Yet I would suggest building Limbo as a 2D platformer liberated PlayDead to apply such consideration to the game’s art and sound design. Perhaps their biggest accomplishment is creating such a modest experience. Limbo does not shatter the status quo. Nor is it self-aware enough to make critical commentary on its genre. I would not call Limbo a risky title. Some mechanics, such as temporary gravity distortion or a worm that forces the player to move in one direction until reaching a light source, are very clever. Yet they remain secondary elements to the game, letting the atmosphere always reign supreme. They never become over-used and tedious and they are never used as a mechanical crutch. Limbo only reaches for what it knows it can accomplish, freeing itself of clutter. The story fits this trend accordingly. The world the boy inhabits is filled with terrifying renditions of childhood experiences. Spiders become monstrous abominations and playground bullies become the murderous children from Lord of the Flies. One theory suggest these are creations of the dead protagonist as he pursues his through limbo, only to find her tending his grave, startled by his otherworldly presence. Another theory posits that both siblings are dead, victims of a car crash and a faulty tree-house, and the protagonist seeks his sister so they can move on to the afterlife together. Both theories are valid because the game never intends to decipher meaning for the player. Any such attempt would simply muddle the environments true goal: the creation of a dark, mysterious, and uncomfortable atmosphere. Many have compared Limbo to Braid. While both are “artsy” 2D platformers, the similarities end there. While Jonathan Blow created a self-aware and narrative heavy experience, saturated with authorial meaning of his own creation, PlayDead created an atmospheric experience, knowingly subduing potential extravagance for its own benefit. While Braid is a Fabergé egg, Limbo is a boiled egg poached to near perfection. I think Braid is a more daring game, and perhaps more valuable one. Yet Limbo should be admired for what is is, a short, simple, and continuously enjoyable experience. If it were any longer, any more muddled with additional content, it would not be the easily consumed and commendable accomplishment PlayDead intentionally designed. Go ahead and put me on the list of people that want this released on multiple platforms. For my money, the 360 can keep its Halos and GOWs so long as I get a chance to play this marvelous looking game. It looks haunting. And there are very few games that I think could ever fit that description. 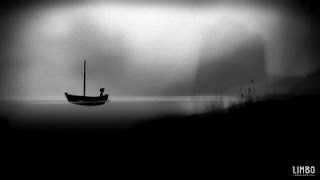 I approached Limbo believing it would deploy a very subtle story through the game, and soon found out that it did, at least half-way. I'm not sure, but perhaps the whole industrial area was created because the forest theme was exhausted and the puzzles needed a new setting to remain entertaining. I was always anxious to see what kind of theme would be next, but the ending came like many of the deaths suffered by the poor boy: swift and unexpected. 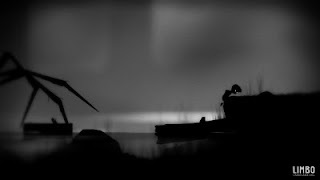 I would love to see a post-mortem of Limbo, but I guess it's very unlikely.